The 18" chain with lobster closure, can be swapped to 36", with magnetic closure. Either can be swapped to screw closure. Old Stock means that the material is about 35 years old, and I fabricated the pendant recently (since 2011). Beautiful necklace you can wear to add a statement to any outfit. Handmade by me! 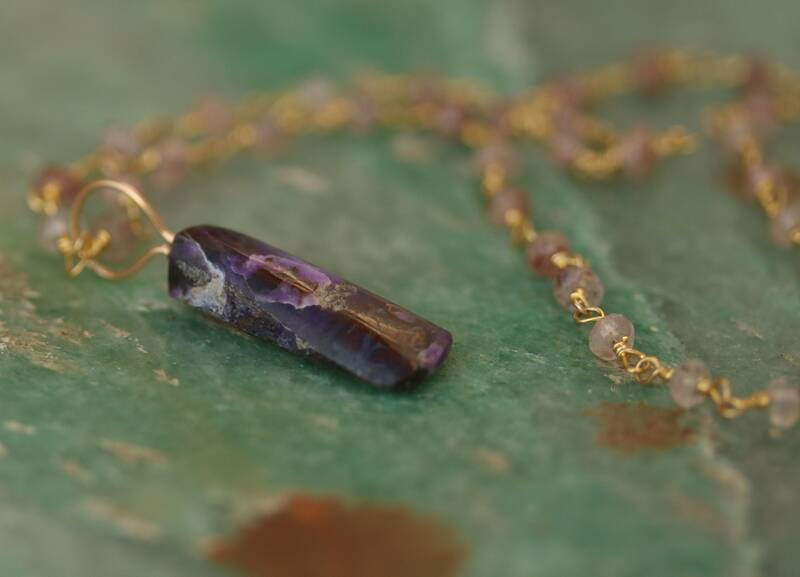 The pendant is an authentic vintage sugilite, a rare gemstone from Africa. 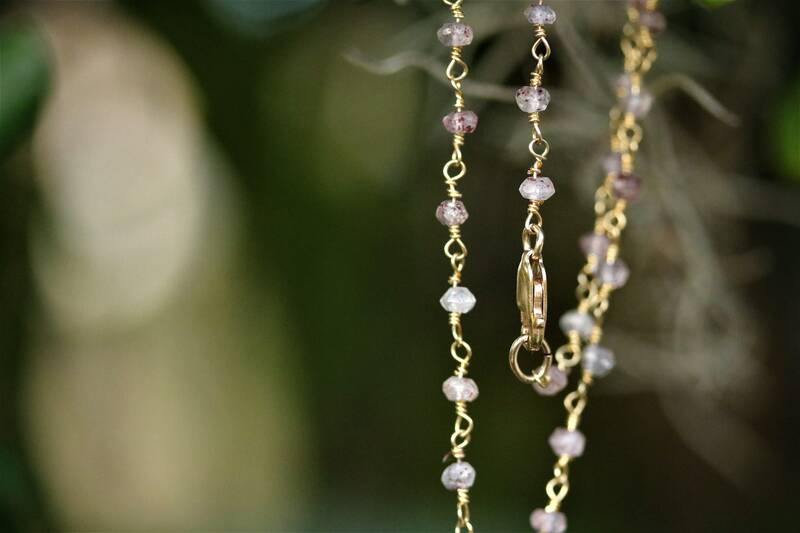 The necklace is beaded with Rose Quartz gemstones. and all the gold used is gold filled. Feel free to message if you would like to purchase chain necklace or pendant separately!! 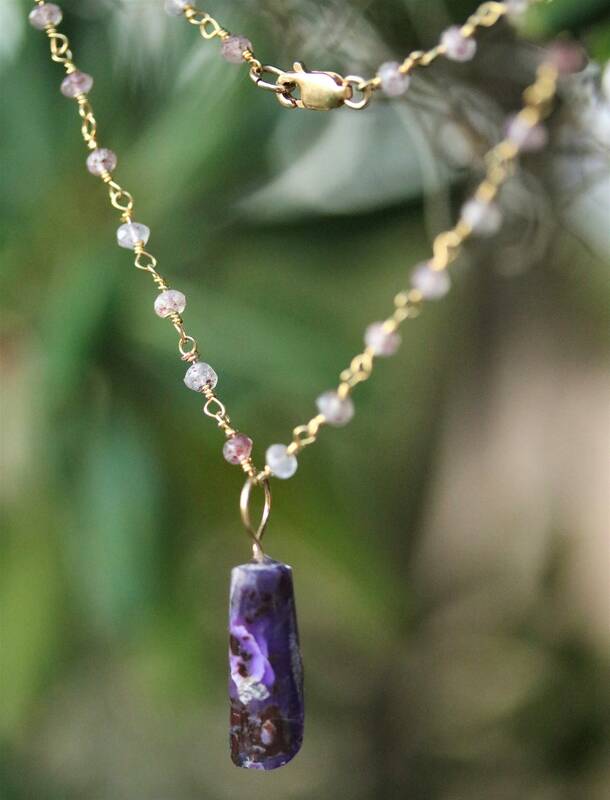 Sugilite is a premier “love stone for this age,” embodying the perfection of Divine love and the manifestation of this energy on the Earth plane. It brings the gifts of wisdom and spiritual devotion, helping one to understand that Truth is the highest form of love, and living in one’s own truth is not only healing but empowering. Payments are final. Lost or broken items are at the buyers risk unless a shipping option is chosen where the seller accepts the risk. Shipping options are under info, and you may select 1 of 8 options. Please not that the buyer accept the risk for lost or broken items unless a shipping upgrade that transfers the risk to the seller is selected. Refunds are by mutual agreement, usually accepted. 36 50%, $2000 and above "keystone". We have made a number of such sales, most at the $2000 level. 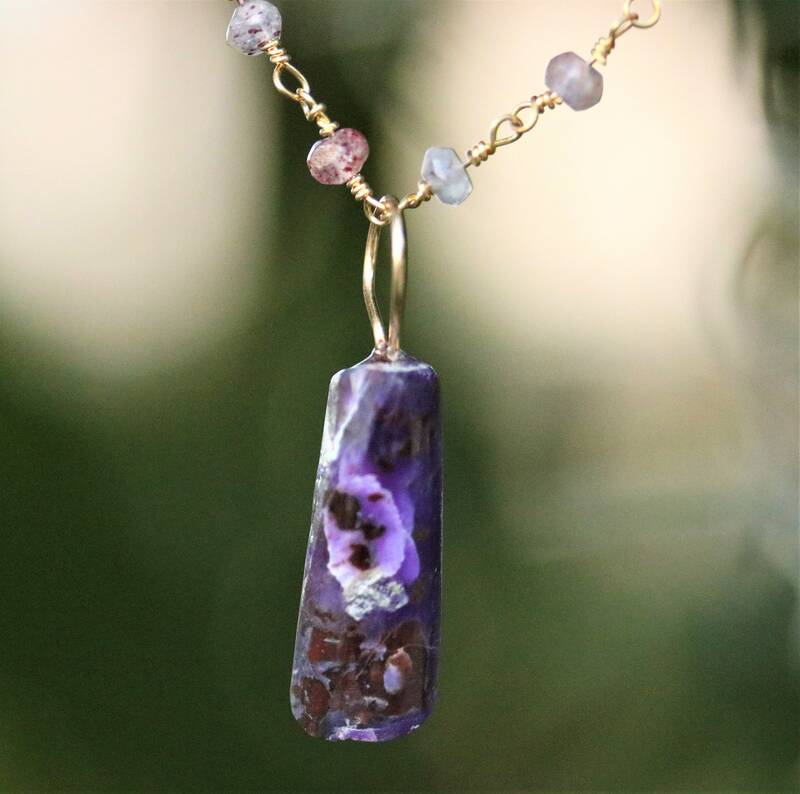 Most pendants do not require any care. Silver, copper, and brass bails need to be polished from time to time. Gold, bronze and nickel bails require almost no care.